Perma-Bound is proud to say that we partner with thousands of publishers with one goal in mind — to bring you the best and broadest selection of library and classroom titles available. On this page we have provided you with a diverse sampling of these publishers. ABDO has been a leader in children’s educational publishing for school and public libraries and since 1985, providing high quality nonfiction and fiction titles for children and young adults in grades PreK–12. The company is known throughout the industry for its excellence in both reading materials and customer service. ABDO Publishing Company features nine imprints in a range of grade levels and subject areas. Amazon Publishing is the full-service publishing arm of Amazon. Launched in 2009, Amazon publishes print and eBooks under twelve imprints including Thomas & Mercer (Mystery & Thrillers), Montlake Romance, 47North (Sci-Fi, Fantasy & Horror), Little A (Literary Fiction & Nonfiction), Lake Union Publishing (Contemporary & Historical Fiction), AmazonCrossing (Translated), Skyscape (Teen and YA) and Two Lions (Children’s). Amicus-a child's friend and companion-is a content publisher promoting the wonder, diversity, and the challenges of the modern world. Created to publish library-bound books for K-12 that beg to be read for learning and pleasure; Amicus provides high-interest and curriculum-based books that offer points of interaction for young minds. Through thought-provoking questions, activities, quizzes, case studies, and other features, children are able to move past passive reading into critical thinking and a deeper understanding of the given subject areas. Amicus promises to be a friend to children, a friend to educators and parents, and a friend for life. Arbordale is a young company on a serious mission to create picture books that excite children's imaginations, are artistically spectacular, and have educational value. Arte Publico Press is the nation's largest and most established publisher of contemporary and recovered literature by U.S. Hispanic authors.Its imprint for children and young adults, Pinata Books, is dedicated to the realistic and authentic portrayal of the themes, languages, characters and customs of Hispanic culture in the United States. Based at the University of Houston, Arte Público Press, Piñata Books and the Recovering the U.S. Hispanic Literary Heritage project provide the most widely recognized and extensive showcase for Hispanic literary arts, history, and politics. August House is a highly-acclaimed and award-winning multimedia publisher of children's stories, picture books, folktale anthologies and resource books. We offer books, CDs and gifts that are thoughtfully written, beautifully designed & illustrated, and have high educational value. They are lots of fun and they are designed to last, but above all, they are to be shared and enjoyed! Bearport is an independent publisher specializing in high-interest curriculum-aligned books for grades preK-8. At Bearport, our books are c arefully written, edited, and designed to provide supports to assist reluctant readers to read more and improve their reading skills. Our titles have received many accolades, including Children’s Choices, Teachers’ Choice Awards, and honors from the NSTA, NCSS, ASPCA, and AEP. Bellwether Media publishes standards-based nonfiction designed to motivate new and reluctant readers. Black Rabbit Books offers high-quality nonfiction titles for grades K-12, and is your one-stop resource for building a comprehensive library collection. For the past 20 years, Chelsea House and Harold Bloom have worked together to publish a vast collection of critical volumes. Bloom's Literary Criticism focuses on the writers and works most often studied in high schools and universities. Reach beyond A to Z Widely recognized as the ultimate reliable source for fast facts or deep research, Britannica Digital Learning provides trustworthy, up-to-date, high-quality online solutions for educators, students, and library patrons of all ages—from preschool to graduate school and beyond. Created by scholarly experts, skilled editors, educators, and curriculum specialists, Britannica Digital Learning products are designed to ignite curiosity and collaboration while making the research process more productive. These products include online information resources, supplemental curriculum products, and e-books. The company’s e-book collection specializes in nonfiction content for all ages and grows every year, currently featuring over 1,100 titles across all subject areas. Britannica Digital Learning is a division of Encyclopædia Britannica, Inc., whose world headquarters are located in Chicago, Illinois. As a national leader in independent audiobook publishing, Brilliance Audio is committed to the art of audiobook publishing--turning printed books into listening entertainment that reaches a high level of quality and integrity. Brilliance Audio was founded in 1984 with a m ission to provide a quality listening experience by recording bestselling books and selling them into retail stores at an affordable price. Educators and administrators can count on Cambridge to provide outstanding media resources that support the development of the whole student, both in and out of the classroom. Cambridge programming provides practical, accurate, and reliable foundation of knowledge that helps students think through opportunities and choices and reach their potential at school, work, and in life. Candlewick Press is an independent, employee-owned children's book publisher dedicated to creating outstanding children's books for readers of all ages. The most accessible and appealing nonfiction books available. Leveraging the magnificent print and digital assets of Marshall Cavendish’s US Library Programs, Cavendish Square is proud to announce a robust and diverse list of library-bound circulating nonfiction series and early readers that range in grade level from kindergarten to college. Our highly acclaimed readers are perfect for emergent through fluent grade 2 readers. Charlesbridge publishes trade fiction and nonfiction texts that enhance a child's reading experience and encourage a love of literature, language, and learning. Charlesbridge's Imagine imprint publishes books for adult readers, including cookbooks, puzzles, and gift books while Charlesbridge Teen features storytelling that presents new ideas and an evolving world, offering carefully curated stories that give voice to unforgettable characters with unique perspectives. Cherry Lake Publishing books align with today’s academic standards, focus on key 21st Century skills, and develop critical thinking skills through inquiry-based learning. For more than 30 years, Chelsea House has published curriculum-based nonfiction books for middle school and high school students. Our timely and engaging sets and series span historical and contemporary biographies, social studies, geography, science, health, high- interest titles, and more. Educators and librarians count on Chelsea House to provide colorful, engaging books and eBooks that can be used as supplemental r eading for the school curriculum and as solid resources for research projects. The most respected imprints in Children's non-fiction publishing. The Child's World® is a family-owned and operated publishing company serving schools and libraries throughout the world since 1968. Specializing in nonfiction library books and eBooks for grades K-8. Momentum is a new imprint of High-Interest Narrative Nonfiction for grades 3-6. Covering topics that kids want to read about, these books enable young readers to dig in and learn information in an engaging, narrative format that encourages reading fluency. Chooseco is dedicated to the re-launch of the Choose Your Own Adventure Series of interactive kids books - written in the 2nd person voice, each story puts YOU, the readers, as the main character as you encounter multiple choices, story paths and endings - YOU choose what happens next! Chronicle Books publishes award-winning, innovative books for children and adults. Children's publishing includes board books, picture books, activity books, chapter books, middle grade, and young adult fiction and non-fiction. Ages 9 and Older; Grades 4 and Up; Designed with the Reader in Mind. Providing easy to read, full-color children's books for the PreK to 9 school market for over 30 years. Crabtree is best-known for its non-fiction science and social studies books by acclaimed author Bobbie Kalman. The Creative Company was founded in 1932 and by the 1960s had become a leading children's publisher, creating magnificently illustrated school and library books on a multitude of subjects ranging from science to sports. 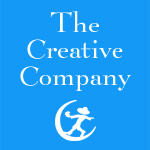 Today, the company publishes more than 120 books annually in 3 imprints: Creative Education (nonfiction series), Creative Editions (picture books), and Creative Paperbacks (softcover versions of nonfiction and picture books). Across all imprints, The Creative Company maintains its longstanding dedication to publishing innovative and beautiful books that both teach and inspire. Always unique, constantly creative. Disney Publishing Worldwide is the world's largest publisher of children's books and magazines, with over 400 children's magazines published and 120 million children's books sold each year. Disney-Hyperion Books, Disney Editions, Disney-Jump at the Sun Books, and Disney Press are imprints of Disney Book Group, DPW's vertical publishing arm in the US. Headquartered in White Plains, NY and Milan, Italy, Disney Publishing Worldwide publishes books and magazines in 85 languages in 75 countries, reaching more than 100 million readers each month. 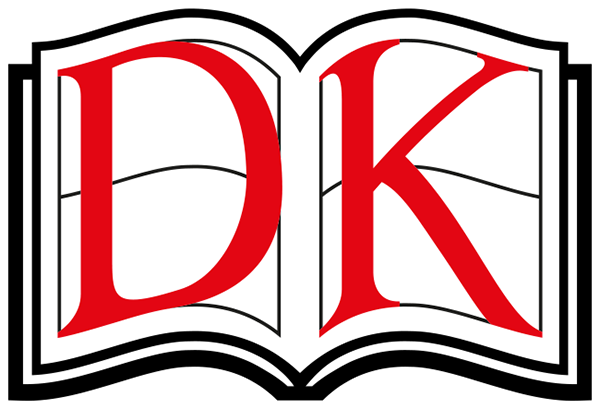 DK is the world's leading illustrated reference publisher and part of Penguin Random House, formed on July 1, 2013. DK publishes highly visual, photographic non-fiction for adults and children. DK brings unrivaled clarity to a wide range of topics with a unique combination of words and pictures, put together to spectacular effect. Encyclopaedia Britannica, Inc., headquartered in Chicago, Illinois, is a leading provider of learning and knowledge products. We're proud to be one of the world's most trusted sources of information on every topic imaginable - from the origins of the universe to current events and everything in between. Since 1976, Enslow Publishers has published quality nonfiction series for young adults and children. Adding PreK books to their line, Enslow now has something for everyone! Founded in 1941, Facts on File is an award-winning publisher of print and online reference materials as well as online historical and current news products for schools and libraries. Subject areas include science, history, careers, literature, religion, the arts, and more. Federal Street Press is a value division of Merriam-Webster Inc. We publish a full line of high-quality language reference books in hardcover and paperback at affordable prices for use in every home, office, library and classroom. Films Media Group is the leading source of educational content across every academic area through four brands (Films for the Humanities & Sciences, Cambridge Educational, Meridian Education, and Our exclusive, award winning titles come from world class producers and are available in an innovative array of delivery options and formats. Firefly Books publishes and distributes picture books, fiction and full-color illustrated nonfiction for the K-12 market. Free Spirit is the leading publisher of PreK - 12 learning tools that support young people's social and emotional health. Our resources are for kids, educators, school counselors, after school care providers, and parents. Topics include character ed., service learning, bullying, special needs, early childhood, and more. Gale is a world leader in educational publishing for libraries, schools and businesses. Publishing high-quality nonfiction resources for the K-12 market with imprints especially designed for schools - Greenhaven Press, Lucent Books, KidHaven Press, Blackbirch Press, Sleeping Bear Press, and U.X.L. Gallopade International, a children's educational publisher, founded in 1979 is an award-winning leader in children's fiction and state specific products as well as supplemental materials based in Peachtree City, GA.
Look to Gareth Stevens Publishing for top-quality books for early learners and cutting-edge, curriculum-aligned series for students in the middle grades and higher. Graphic Arts Center Publishing Company and Alaska Northwest Books combine gripping storytelling, award-winning illustration, and a little bit of magic into every one of their books. Hachette Book Group (HBG) is a leading trade publisher of nearly 1,000 adult, children's and audio book titles annually and a division of Hachette Livre, the second-largest publisher in the world. HBG publishes under the divisions of Little, Brown and Company, Little Brown Books for Young Readers, Grand Central Publishing, Orbit, FaithWords, Center Street, Jericho Books, and Hachette Digital. For more than 100 years, Hammond World Atlas has been the most respected name in mapmaking. Hammond published the first digital atlas, the bestselling World Atlas, now in its 5th edition. Today, Hammond offers a full range of digital political and physical maps and atlases. WCBS-TV, CNN, educators and students all rely on Hammond as their map and atlas source. HarperCollins is a broad-based publisher with strengths in literary and commercial fiction, business books, children's books, cookbooks, and mystery, romance, reference, religious, and spiritual books. Consistently at the forefront of innovation and technological advancement, HarperCollins is the first publisher to digitize its content and create a global digital warehouse to protect the rights of its authors, meet consumer demand and generate additional business opportunities. Heinemann-Raintree Publishers offers the best in nonfiction from PreK-Secondary grades. Our mission is to provide accurate content that can be trusted and inspires all readers. Heinemann-Raintree is owned by Capstone. Hyperion publishes approximately 100 general-interest fiction and nonfiction hardcover, trade, and mass-market paperback books for adults that includes the Voice, ABC Daytime Press, Miramax Books, Hyperion East, and Hyperion AudioBooks imprints. Hyperion is also the proud home of prestigious authors such as David Halberstam, Caroline Kennedy, Michael J.Fox, John Stossel, Robin Roberts, Jo Frost, Linda Greenlaw, Mark Frost, Jamie Oliver, Nigella Lawson, Chris Anderson, Kristen Gore, and many others. Jump! publishes children’s nonfiction with a focus on high-interest subjects for beginning and struggling readers. Our books combine vibrant colors with captivating photography and corresponding text to draw readers into the subject and encourage reading success. Kane Press is a leading publisher of top-quality, illustrated trade books for youngsters in the elementary grades. Each book is written for independent reading or, with very young children, as a read-aloud. We are an independent publisher featuring high quality, culturally diverse offering for grades PreK-6th; our children's books are about everyone and for everyone. Founded in 1959, Lerner Publishing Group is one of the country's largest family-owned children's book publishers, publishing critically acclaimed, top-quality children's books that meet the educational needs of K-12 school libraries and public libraries. Climb aboard with Magic Wagon! Magic Wagon blends imagination and information in award-winning picture books, chapter books, leveled readers, and graphic novels. World-class art, text features, and leveled text help entertain and educate young readers. Magic Wagon features a variety of nonfiction subject areas as well as original fiction and classic fiction adaptations for grades pre-K to 8. Marshall Cavendish U.S. is a leading North American publisher of illustrated encyclopedias, nonfiction series, and children's books. Marshall Cavendish Reference offers multivolume encyclopedias on a wide range of topics to support the curriculum and to encourage lifelong learning. Marshall Cavendish Benchmark specializes in visually appealing and authoritative nonfiction series, meeting the needs of readers from kindergarten through high school. Marshall Cavendish Children features picture books, chapter books, novels, and nonfiction that appeal to younger readers. High quality nonfiction titles for grades 6-12. Merriam-Webster is recognized everywhere as America's leading and most distinguished language reference publisher. High-quality nonfiction for children and young adults. Morgan Reynolds publishes high-quality biographies and other non-fiction for the secondary level reader. All books are correlated to state and national curriculum standards and each title is 100+ pages in length. Nest Learning is one of the nation's foremost trusted producers and distributors of award-winning children's educational media. With character-shaping products that are engaging and stimulating, Nest also conforms to numerous State and National Standards - making it a must-have for every public and school library collection! Norwood House Press books engage young readers with a variety of interesting series aimed at keeping kids reading for years to come! We specialize in high-quality; library bound children's books from grades K-8 that are specifically chosen to help foster a love of reading. Orca Book Publishers is a publisher of quality, award-winning books for children and teens and reluctant readers of all ages. From beautifully illustrated picturebooks through captivating juvenile fiction and compelling novels for teen readers to professionally-written teachers' guides, Orca is dedicated to bringing the best possible books to young readers. Oxford University Press, Inc. (OUP USA), is Oxford University Press's second major publishing center, after Oxford (UK). Perhaps the most diverse publisher of its type, it publishes works that further Oxford University's objective of excellence in research, scholarship, and education. Informational Picture Books and Readers Ages 4-11, Grades PreK-4; Great Art, Great Reads, Great Reviews. Raven Tree Press is an independent press committed to providing high-quality picture books in a variety of formats, such as bilingual, English-only and Spanish-only. Raven Tree Press books feature: nationally reviewed titles, award-winning stories and artwork, Accelerated Reader quizzes, hardcover, paperback, and boardbook options, with free downloadable activities at the publisher website. ReferencePoint Press is a new, independent nonfiction publisher for grades 7th-12th. Its unique Compact Research series covers current issues, health & disease, and drugs and combines objective narratives with primary source quotes and colorful statistically based illustrations. High-quality nonfiction books in the areas of Science, Social Studies, Math, and Guidance for Grades K-12. Rourke Publishing is a children's nonfiction book publisher specializing in high interest and curriculum related content for grades K-8. Saddleback Educational Publishing publishes high-interest, low readability supplemental curriculum materials for middle and high school grades. Scholastic, the global children's publishing, education and media company, recognizes that literacy is the cornerstone of the child's intellectual, personal and cultural growth, for over 87 years. Scholastic has created quality products and services that educate, entertain and motivate children and are designed to help enlarge their understanding of the world around them. Our mission is to deliver high-quality educational products to meet the needs of all learners. Scobre Press publishes high-interest, low-level titles that are certain to engage struggling teenage readers. Topics range from sports and entertainment, to video games and robotics. Don't hand them the same old stuff. Inspire them with Scobre! 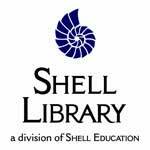 Shell Library, a division of Shell Education, strives to open up the world of reading by providing high quality, award-winning books to inspire PreK–8 grade level readers and supplement classrooms, bookrooms, and libraries. Simon & Schuster is a worldwide leader in trade book publishing, offering schools and libraries classic and contemporary fiction and nonfiction for K-12 readers through a variety of series, including Childhood of Famous Americans, Enriched Classics, Folger Shakespeare Library, Scribner Classics, Washington Square Press, and others. Shine the spotlight on your library with Spotlight! Spotlight features the most popular fiction in licensed library editions. Our incredibly popular characters and series include Marvel heroes like Spider-Man and the Hulk, as well as Transformers, Star Wars, Indiana Jones, Scooby-Doo, Peanuts, SpongeBob SquarePants, Dora the Explorer, the Black Lagoon series, and more. Spotlight titles are printed on the highest-quality paper with reinforced library bindings that will withstand the circulation these popular titles are sure to get in your school or library. Stone Arch Books publishes safe fiction in graphic novel and chapter formats for struggling and reluctant readers ages 8-14. Tor-Forge is a leading publisher of genre fiction including thriller, horror, paranormal and historical fiction and North America's leading publisher of science fiction and fantasy for both adults and children. Tricycle Press, the children's imprint of Ten Speed Press, publishes an eclectic collection of books for children, including Mollie Katzen's groundbreaking children's cookbook, Pretend Soup; David Schwartz's math alphabet book, G is for Googol; My Secret Bully by relational aggression expert Trudy Ludwig; and Amy Wilson Sanger's World Snacks series for toddlers. Weigl Publlishers Inc. was established in 2000 to produce supplementary materials for the school and library markets. Weigl has published more than 1,000 titles filled with eye-catching visuals and well-researched, trustworthy content. World Almanac®'s history as a publisher of award winning reference titles dates back to 1868. The imprint includes such iconic titles as The World Almanac® and Book of Facts, the best-selling American reference book of all time, and The World Almanac® for Kids, the best-selling reference book for kids. Published annually, World Almanac® reference books have been trusted sources of authoritative, accurate, and entertaining information on a wide range of essential subjects for generations.